BRYAN EATON/Staff Photo. 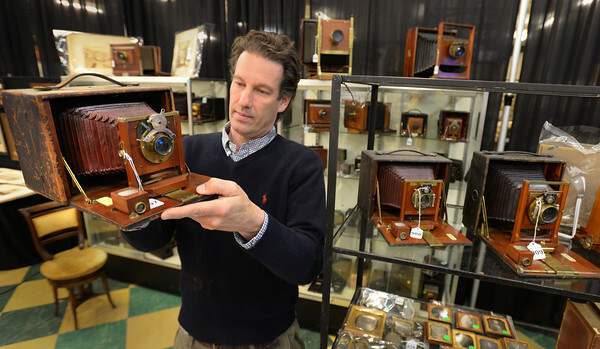 Jay Williamson shows off a Rochester Optical Co. Premo circa 1894 which is expected to bring $150-$250 this weekend at McInnis Auctioneers. That is one of several old cameras and parts being auctioned off along with old photos, tokens, medals and stamps.